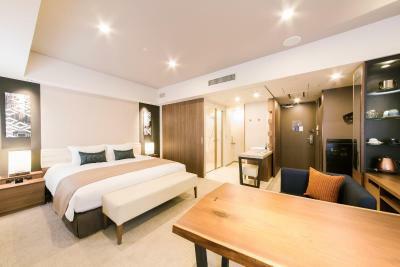 Lock in a great price for Tokyu Stay Ginza - rated 8.7 by recent guests. 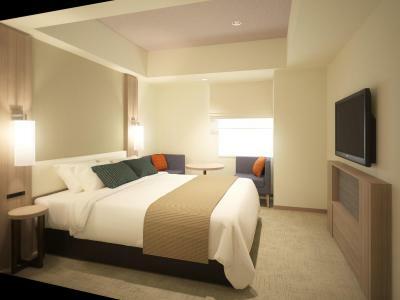 Upgraded to the Superior room which was a great size for Tokyo, large bath, great bed/ linen and location perfect for subway and shopping. Staff very helpful. Arriving earlier than check-in time, the receptionists helped us with system check-in although the room was not available yet. Upon our return, our luggages were already placed in our hotel room, which was more than surprising and touching. 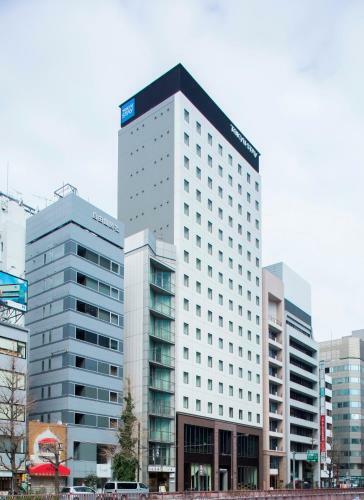 This hotel is very near a metro stop, and it is within walking distance to Tsukiji Market and the Ginza shopping district which is why I stayed there. The market exceeded expectations - I went there for breakfast and it was great !! 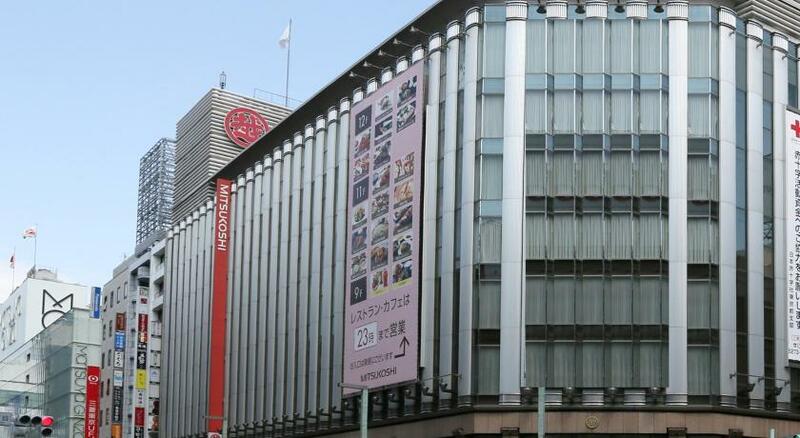 Walking around Ginza in the evening is fun because of all the lights and crowds of shoppers. I have been to Tokyo before and stayed in multiple areas like Shinjuku, Shibuya, and Asakusa, so this was different and fun for me. 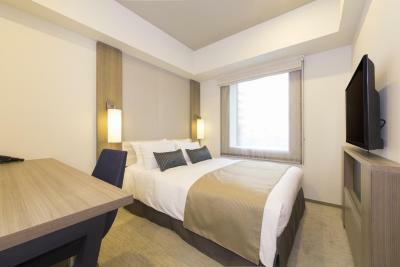 Great location in Ginza and easy access to the airport limousine bus. 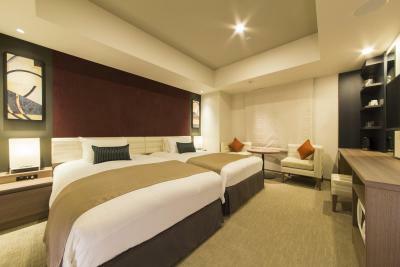 The rooms weren't very big but they were well equipped, clean and comfortable. Would return n the future if we were to visit Tokyo again. This is my go-to place whenever I need to travel to Tokyo on business. Location is good as it is near the bus stop for the Narita Airport bus. Plenty of options for shopping and dining. 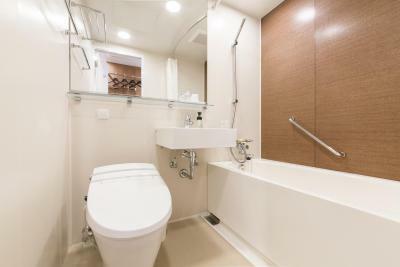 I am used to the small size of hotel rooms in Japan so this was not a surprise. The staff were accommodative and nice. Washing machine in the rooms!! Yay!! Great eating places just behind the hotel and surroundings. A steak restaurant and Ippudo noodle. Bakery cafe across. Love breakfast there.The bigger rooms better and comfortable. Good firm beds with firm pillows which I love!! Location is fantastic. I will definitely stay there again. The bed and the pillows were great. Very comfortable.Location is totally ideal!! The bigger room was good and having awaiting machine/dryer was a blessing. The staff were lovely although they may not appear so. The bed was amazingly comfortable! But the best thing about the hotel is probably the service, I attached a message saying the purpose of this stay was for my partners birthday and at check in we were welcomed with a little birthday present for my partner! Super service! 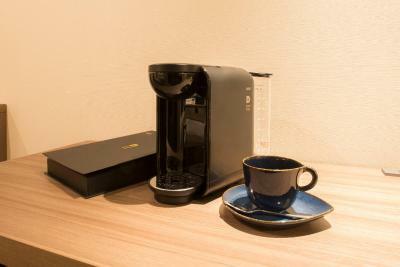 The property ius well located in the Ginza area close to Tokyo station. The bed was very comfortable. There are small supermarkets nearby. 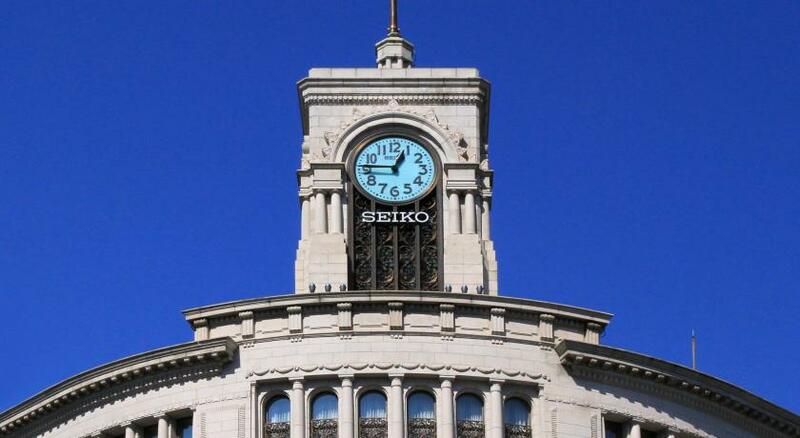 The outer markets for the Tokyo fish markets are 10 minutes away on foot. 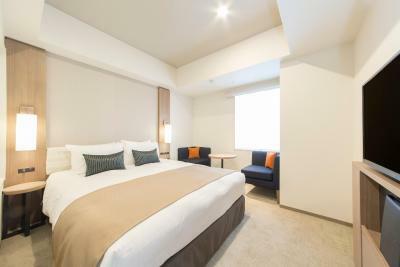 Tokyu Stay Ginza offers modern spacious guestrooms and free property-wide WiFi, and is conveniently located a 3-minute walk from Ginza Train Station's Exit A7. 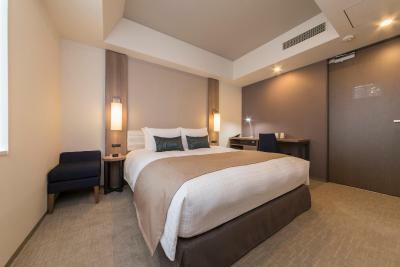 JR Tokyo Station and Tokyo International Forum are a 15-minute walk away while the Imperial Palace can be reached with a 14-minute drive from the property. 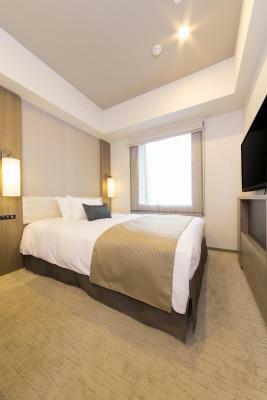 All units are air conditioned and have a flat-screen TV with CNN channel, microwave and an electric kettle. 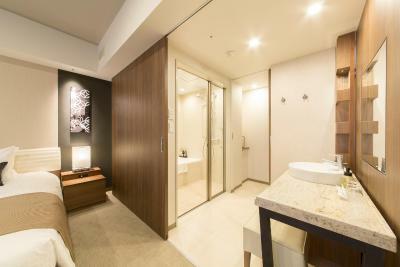 Free amenities provided in the en suite bathroom include toothbrushes, shampoo and soap. 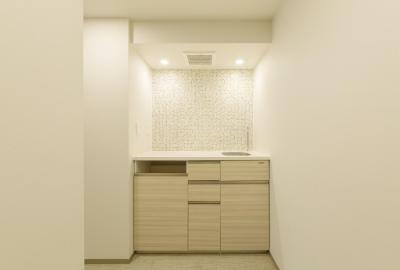 Some units also have a kitchenette, equipped with a refrigerator. 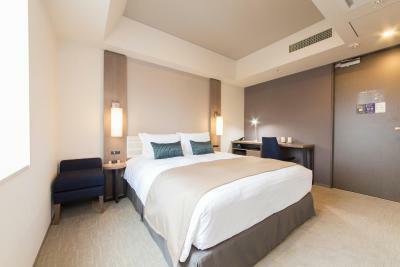 Free luggage storage is offered at the 24-hour front desk and trouser presses can be rented with no additional charge. The breakfast buffet served at the stylish on-site restaurant consists of a wide variety of Japanese and Western dishes. 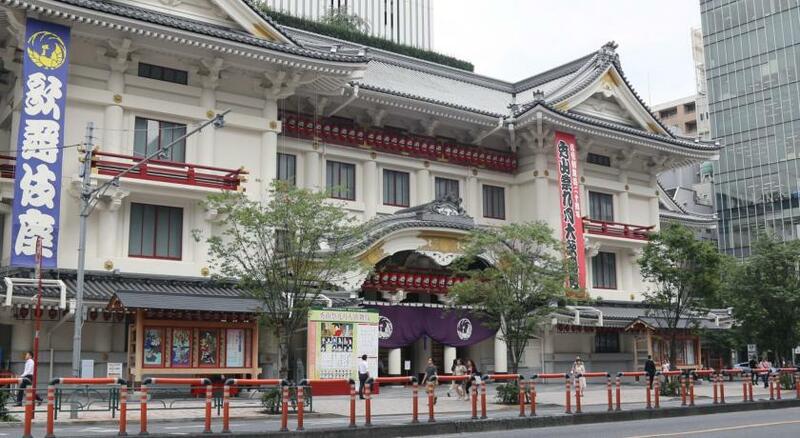 Kabukiza is just a 1-minute walk away from Ginza Tokyu Stay. 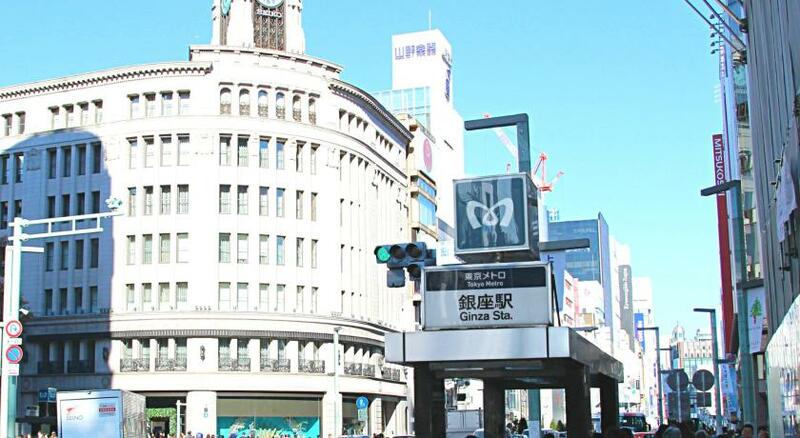 Guests can also make a 3-minute walk to department stores like Mitsukoshi and Matsuya Ginza, or a 22-minute train ride to the lively Shinjuku area. 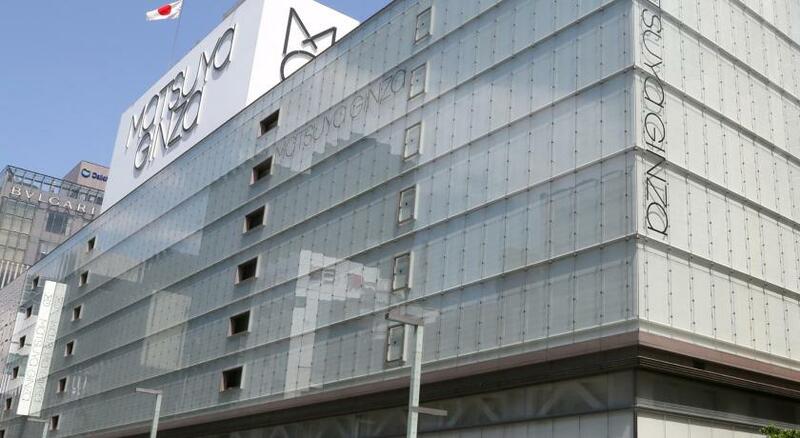 Haneda Airport can be reached with a 24-minute ride on the Keikyu Line. 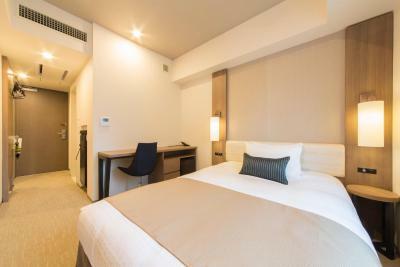 Tokyu Stay Ginza has been welcoming Booking.com guests since 14 Mar 2016. 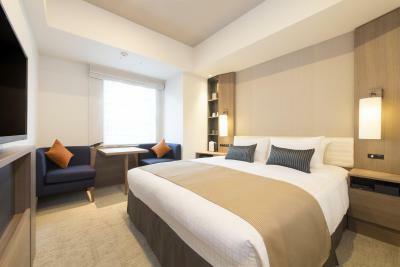 When would you like to stay at Tokyu Stay Ginza? This double room has a washing machine, air conditioning and a microwave. This double room has a microwave, a washing machine, an electric kettle and air conditioning. 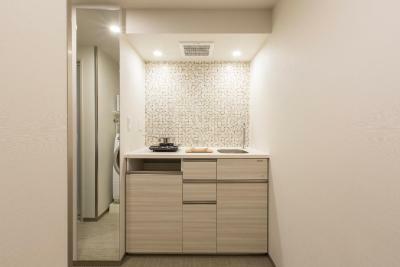 This double room features a microwave and a washing machine. This double room has an electric kettle, air conditioning, a washing machine and a microwave. This double room has a washing machine, a microwave, an electric kettle and a kitchenette. This double room features a washing machine, a microwave, an electric kettle and a kitchenette. This double room has a microwave and a washing machine. 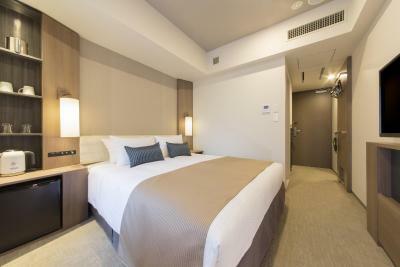 This twin room features an electric kettle, air conditioning and a microwave. This room does not come with a washing machine. 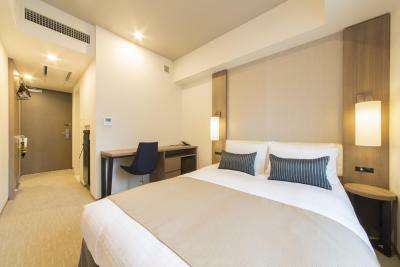 This twin room features air conditioning and a microwave. 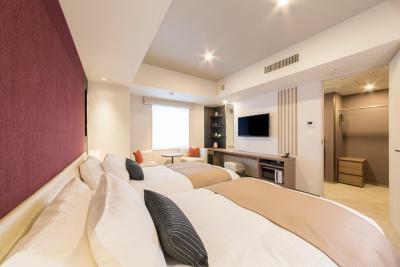 House rules Tokyu Stay Ginza takes special requests - add in the next step! 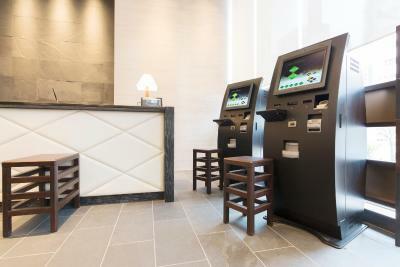 Tokyu Stay Ginza accepts these cards and reserves the right to temporarily hold an amount prior to arrival. 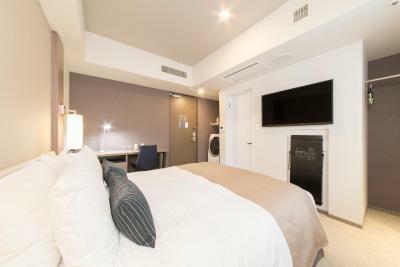 Please note that the Superior Twin Room does not feature a washing machine. 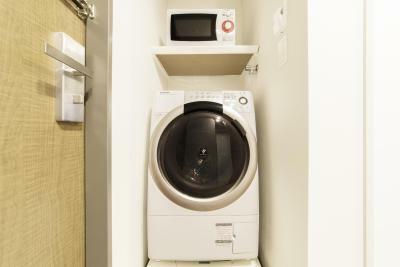 All other room types are equipped with a washing machine. Loved the laundry machine and location. The room was a bit small, but for the price, it was great. We absolutely love the fact that there is a washing machine in our room. The room I booked was rather small and unremarkable, but I really didn't want to spend more money for just two nights so it was fine. The lobby is not the most inviting either, but the staff was very nice !! 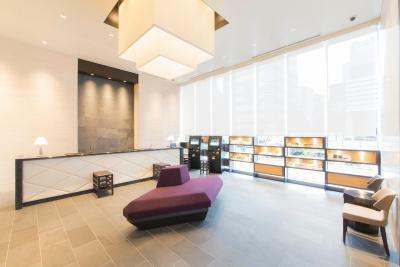 The reception lobby isn't very large, so it can get a little congested during check-in and check-out times. Rooms are slightly jaded due to high turnover. Understand there’s a carpet cleaning on week of 18Mar, hopefully that’ll will refresh the overall ambience of the rooms and corridors. 1. I stayed in room 1509, the mattress is quite bad, it s too soft, sinking, not bouncing...seems like it s old. 2. The bathroom window light disturbs the other in bed when lights out. Should have more shied or curtain at the bathtub window. At this hotel, I choose the option of not availing of the hotel breakfast as I find it very limited. This is my 5th or 6th time to stay at the hotel and I was surprised that there was a JPY 500 fee for early check-in. I felt that this could have been waived considering that it was only 30 mins more to check-in and it was not my first time at this hotel. So I am rethinking my future stays. 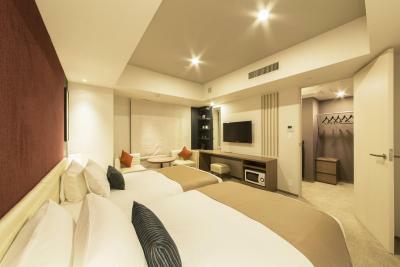 The rooms are tiny and crowded, it can barely fit your suitcase or any purchases you make during your vacation. After the first 3 days I paid more to have a bigger room. It has everything you need! A tv, an ac, air purifier, a washing/drying machine, a microwave, a kettle, a desk, and so much more! The standard room is nightmare. So small and crammed especially with 2 24" luggages. Breakfast was horrible. Everything is always cold even during winter. The set dishes were extremely limited as they were exactly the same during the 5 days I've stayed. The standard room was very small. 2 Adults and 2 24" luggages made it extremely stressful to stay.